Bishop Javier Echevarría was born in Madrid on June 14, 1932. 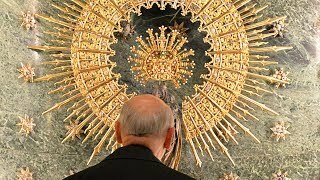 He was Prelate of Opus Dei from 1994 to 2016. He holds doctorates in both civil and canon law. He worked closely with St. Josemaría as his personal secretary from 1953 until the latter’s death in 1975. Bishop Echevarría was ordained as a priest on August 7, 1955, and became part of the General Council of Opus Dei in 1966. 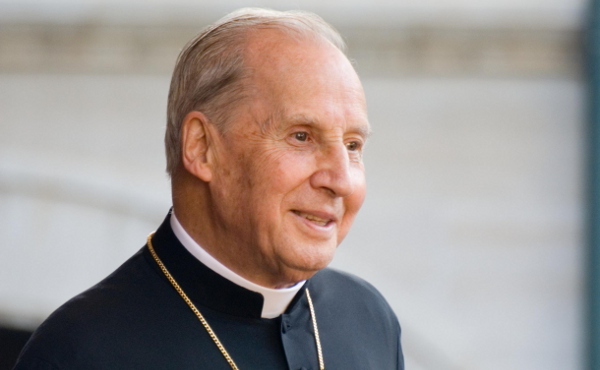 In 1975, when Alvaro del Portillo succeeded St. Josemaría as head of Opus Dei, Bishop Echevarría was named secretary general, a position hitherto occupied by del Portillo. In 1982, when Opus Dei was established as a personal prelature, he became its vicar general. Bishop Echevarría is a member of the Congregation for the Causes of Saints and of the Supreme Tribunal of the Apostolic Signatura. He participated in the General Assembly of the Synod of Bishops for America (1997) and Europe (1999) and in the ordinary General Assemblies of 2001 and 2005. His election and his appointment by John Paul II as prelate of Opus Dei took place on April 20, 1994. The Pope ordained him as a bishop on January 6, 1995, in St. Peter’s Basilica. He is the author of books of spirituality such as "Memoria del beato Josemaria," "Itinerarios de vida cristiana," "Para servir a la Iglesia," "Getsemani" and "Eucaristia y vida cristiana."